Hey there Cats and Kittens! While I was busy getting ready for New Years Eve I realized that I have a lot of cool music that is not readily available to everyone. So I made up a streaming playlist of 29 songs for y'all to use if you'd like for your party. 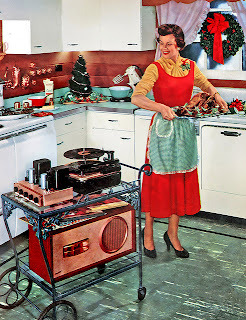 It's not 2 turntables and a microphone, but it sure helps to rock your way into 2011 in vintage style. Just press play. Hope you like it! 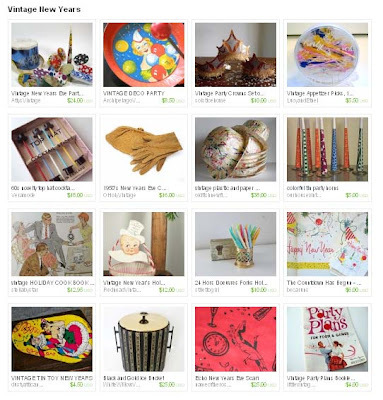 I put together an etsy treasury of some vintage party supplies for New Years Eve. Enjoy! 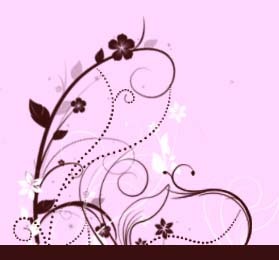 I just adore this blog! Sew Weekly is a project blog by the talented and very creative Mena Trott to create a wardrobe sewn by her. Her taste is very vintage inspired and she usually uses vintage patterns and recycles/upcycles vintage items from thrift stores. I also like how she gives you very specific information about each piece and what inspired her to make it. 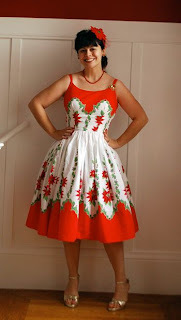 I have been reading this blog for a while, but the holiday dress she posted about recently was fabulous and I knew I had to blog about it and spread the retro-sewing love! 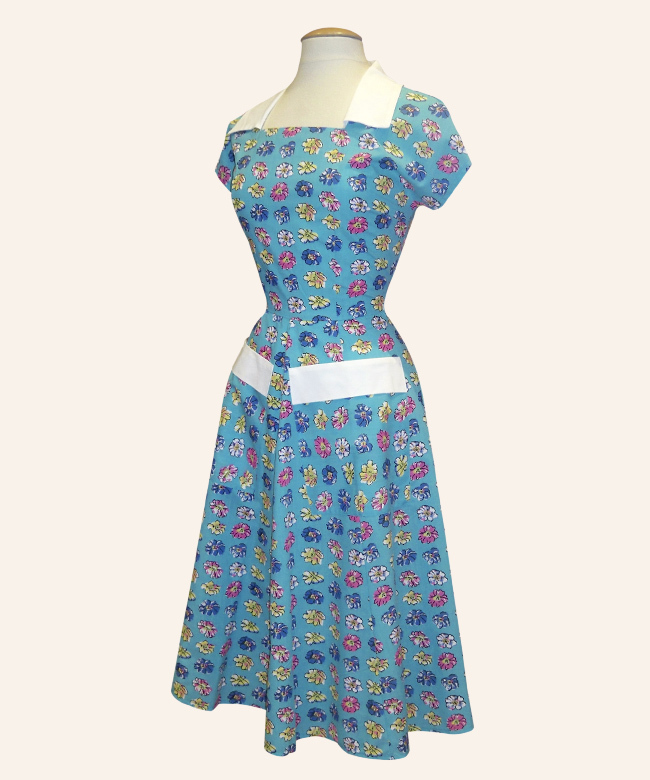 This dress was made with a vintage 60s pattern and a tablecloth. Love, love, love it! I have a pink scalloped tablecloth I bought to make a dress and I am so inspired by Mena's post that I may have to move it to the top of my "to sew" list. 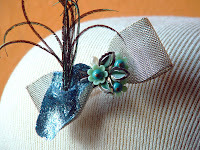 Make sure you stop by her blog to see her other creations. Here's another of my favorites- An American in Paris Combo. 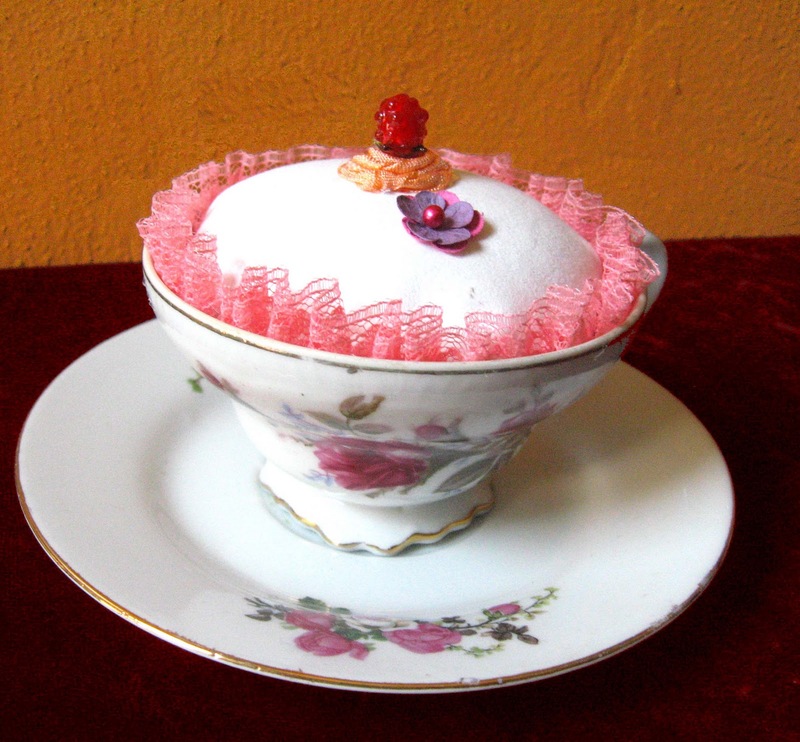 Today is the last day to get 20% off anything in my Tart Deco etsy store. All you need to do is use the coupon code blogxmas10 when you check out. Labels: holidays, Tart Deco, What's on Sale? Hey vintage sewing fans! This pattern is on sale through Butterick online for $2.99 until Dec. 19th. 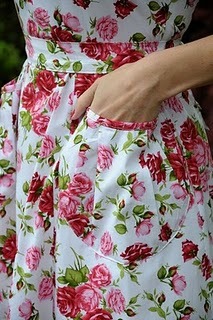 It's a newer pattern and I love the idea of bringing back 1 yard apron patterns. If you pick it up, let me know. I haven't gotten it yet and I am curious about it. Labels: 50s Rockabilly, fashion, Retro Home, sewing and clothing care, What's on Sale? My vocal group Bootless Betties recently performed in a live radio 1940s adaptation of A Christmas Carol with a local theater company in Milwaukee called Wisconsin Hybrid Theater aka Radio WHT. We also sang Winter Wonderland and Santa Baby a Cappella before and after the show. It was a really great show that got a ton of positive feedback and reviews. 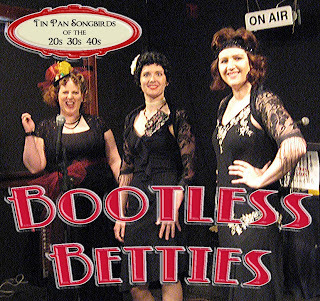 I thought my readers are the sort who would appreciate the show so below is a link to the streaming version of "A Carol On Brady" from Radio WHT and the Bootless Betties, performed Dec. 5th 2010 live on WMSE 91.7. View a video of us recording the radio show LIVE! I just got the email today that Mode Merr is offering free shipping until Dec. 17th using the code "freeship" when you check out. They have some seriously cute stuff right now that can be worn for the holidays AND year round. The cute ensemble to the left is the red and white striped peasant blouse ($54) with the candy flounce skirt ($86). Talking about deals and steals, don't forget that I have a blog special going on in my shop until Dec. 17th too. If you are in the US that would still be enough time to get your gift for xmas if you go priority mail. 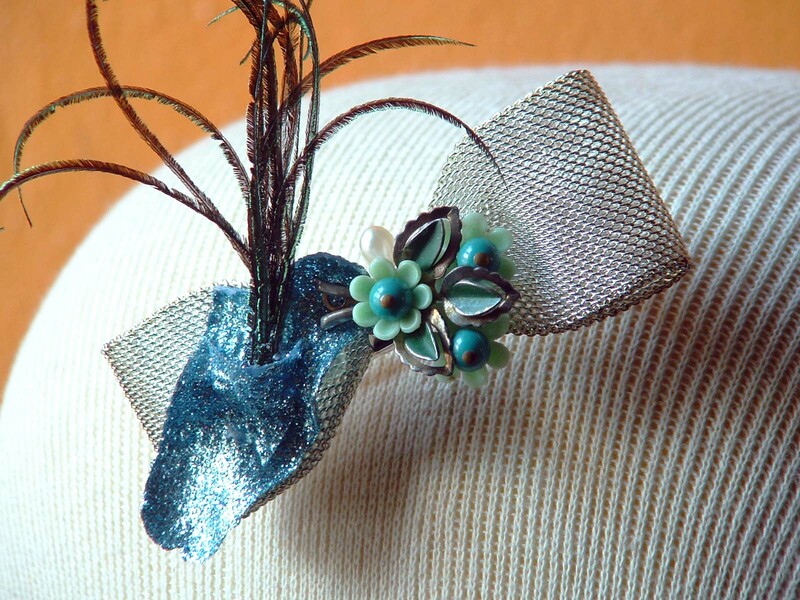 Wouldn't this hair flower go great with that Mode Merr ensemble? Labels: 50s Rockabilly, fashion, holidays, What's on Sale? 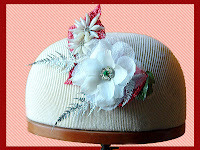 Thanks to Miss Brittany Va Voom Vintage I found out about this wonderful giveaway on the blog Vintage Passions Like Mine. Pop on over and sign up! PS The post says the giveaway ends 12/9 but it has been extended to Sunday the 12th. I finally got a chance to add some new holiday hair flowers to my etsy store Tart Deco. I will be adding even more in the next 2 days. To celebrate this and make up for my lack of posts during finals I am offering 20% off of everything in the store until Dec. 17th. YES, everything! All you need to do is use the coupon code blogxmas10 when you check out. Remember, the coupon code disappears on Dec. 17th at midnight, so don't delay! I recently started to join in on the Team Discovery Treasury Challenge. When I need some inspiration, I join the challenge and make up a treasury that stirs my brain a little. It is especially good for interesting color combinations. 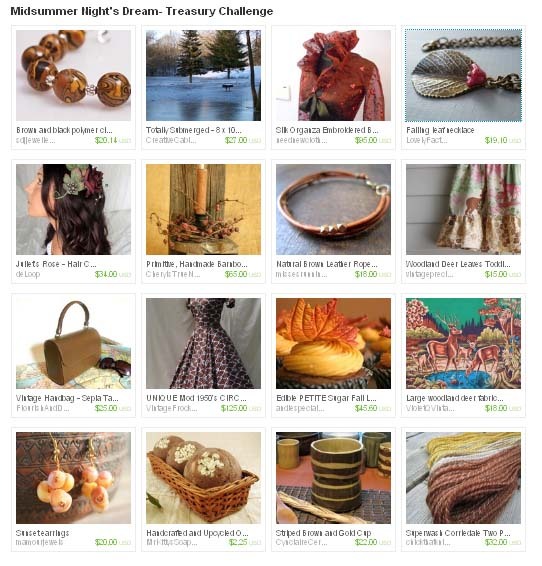 Below is my most recent treasury entitled Midsummer Night's Dream. Hope you like it! Labels: Blog Spotlight, holidays, Tart Deco, What's on Sale? Interested in Shabby Chic? If so, get yer keister over to the Shabby Vintage Junk giveaway. Odds are pretty good as there will be eight winners. The Apron Goddesses: Cyber Monday Giveaway of a Christmas Apron from Carolyn's Kitchen! 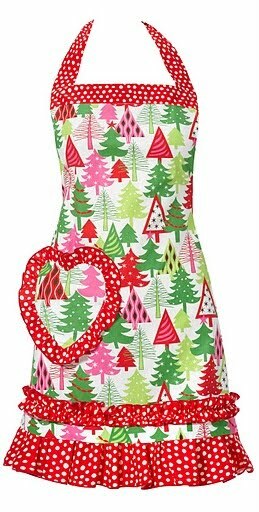 Want to win an adorable Chrsitmas Apron from Carolyn's Kitchen? I know I do! Click on the link above to win this cutie! I am most definitely subscribed to too many email newsletters. However, one that consistently sends me interesting links and information is The History Channel email newsletter. 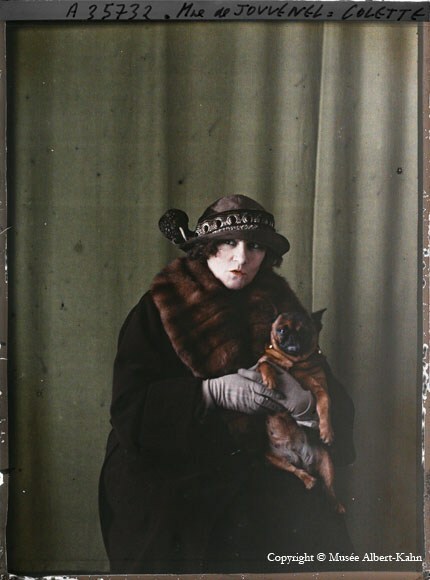 One of the best emails ever was one I just got about an article on a collection of colour pictures from the early 1900s by Albert Kahn. He traveled the world taking photos using autochrome plates, one of the first color processing of film. 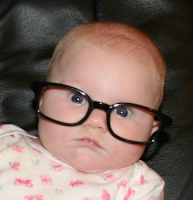 Hello readers! 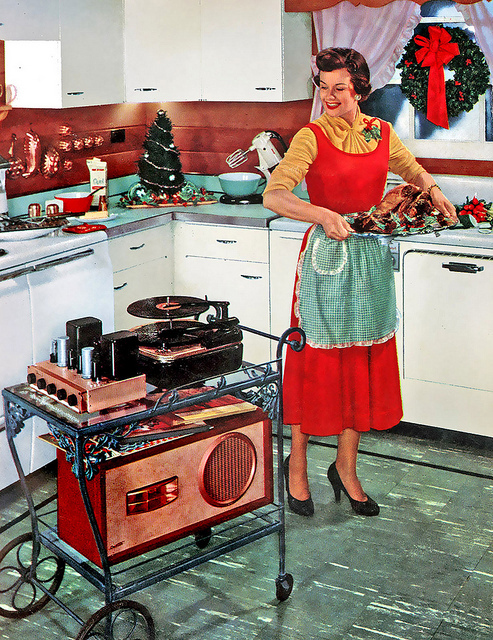 My eyes are finally getting back to normal and I am still catching up on schoolwork, but I thought you might be interested on a post I wrote for my music blog Tart Deco's American Popular Music Blog. Oh wait- you didn't know I had another blog? Yep and it's all about music with in-depth posts about certain pieces and genres of American popular music, including reviews, music clips and.... wait for it.... give-aways. 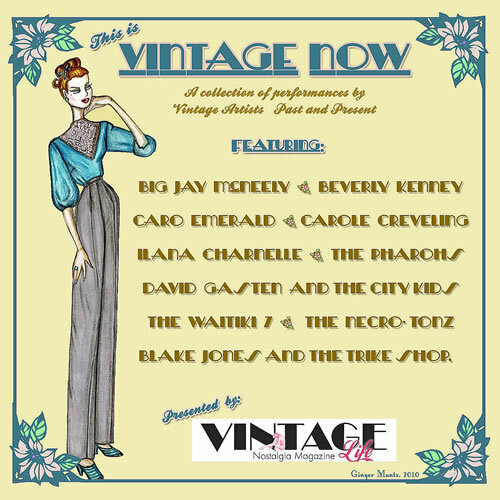 I just did a review on a new CD compilation that will be coming out soon called This Is Vintage Now that I think you all would be interested in reading. So pop on over and explore! Sorry everyone for the sporadic posting lately. It turns out that I have some pretty bad eye strain between being in Grad school, work and other projects that employ my eyes. It is mostly caused from computer use, which I typically do about 6-8 hours a day or more. UPDATE: I don't actually have eye strain by severely dry eyes. Hopefully some extra special eye drops will remedy this and I will be back to my old pithy (hah!) self in no time! If you are into the late 50s/early 60s look and want to get something super cool for your wedding, or maybe an early Viva Las Vegas present to yourself and your man, CHECK THIS OUT! Its a vintage wedding set and its barkcloth. 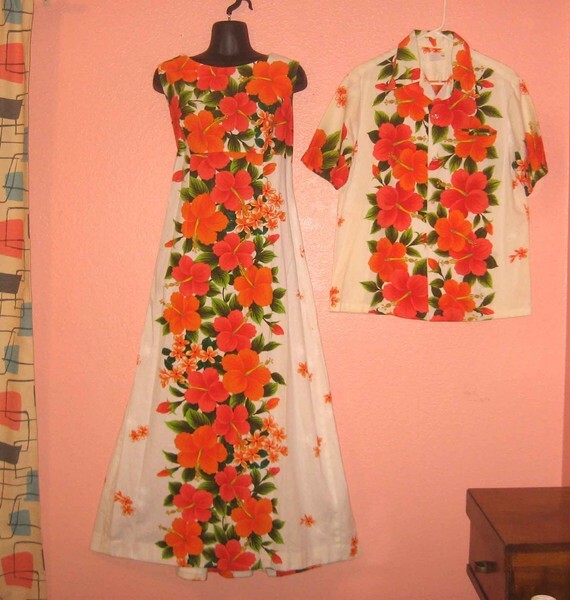 Even better yet, it's in bigger sizes- 46" chest for the man's shirt and 42" chest for the dress. You could even do double duty and tack up the hem to make the dress shorter for VLV. It is $120 for the set from the fun etsy shop sarahblackheart. I just made up a quick treasury on etsy of plus size vintage dresses under $30. These are mostly rockabilly, but they are all super cute! Labels: 50s Rockabilly, What's on Sale? 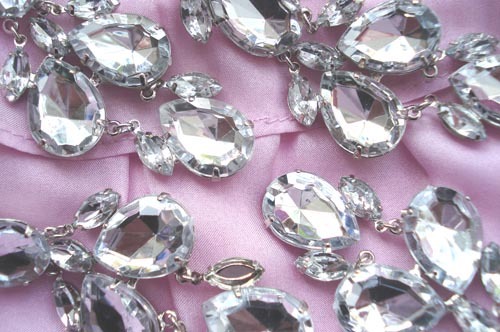 Even though I need to be concentrating on my schoolwork I couldn't help but sign up for a fun swap with a bling theme. Ashley Getting Dressed is hosting an Earrings, Rings, and Other Sparkly Things swap with a chance to win a $20 gift certificate to a store of your choice. Sign up to participate by Nov 5th and the packages go out Nov 13th. Short, but very sweet and just the way I like it; not a lot of wait time for goodies! Hello lovelies! I am entered in a vintage clothing contest and I was hoping you all might help me out by voting for me. You can vote once every day, so if you are so inclined that would be awesome! The voting ends Nov. 12th. I recently did another gig with my vocal trio Bootless Betties. 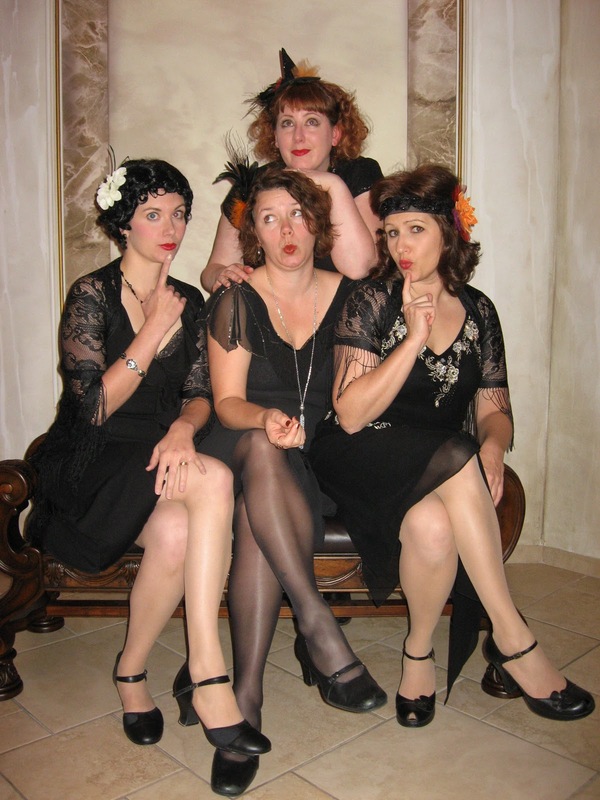 The premise of the group is that we sing syncopated songs from the 20s-40s in a similar style of the Boswell Sisters and Andrew Sisters. We are accompanied by guitar/ukulele, cello and pots & pans percussion. It's a ton of fun and we are slowly amassing a fund to record a CD next year. Right now we are rehearsing to do a holiday show in Milwaukee. We are trying to decide if we should perform at a coffeehouse or perhaps another interesting venue like a book store or restaurant. Question- If you were going to see a group like ours, where would you want to go? I can't wait to hear your suggestion! 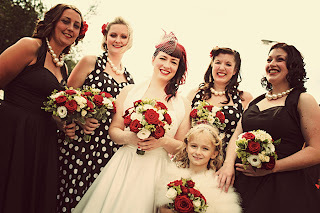 Rock n'Roll Bride just featured a white hot rockabilly wedding with the bride in a Vivien of Holloway halter dress (with bridesmaids in the same dress in black or polka dots)and Vivienne Westwood cherry shoes. LOVE IT! 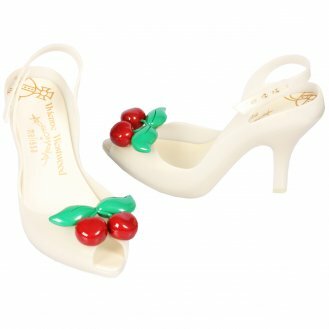 The shoes are bit pricey for me ($173 US) but they sure are adorable. If you are a DIY kind of person, you could probably make some shoe clips for yourself and clip on a pair of white shoes. If you aren't sure how to do that, contact me (tartdeco at gmail dot com) and we can chat about having some made custom from me. By the way, why have I not been aware of Vivien of Holloway before this? I have heard, but never really shopped. Perhaps it is because they are UK based, but their dresses are to die for and not that expensive. Plus they go up to a size 46" bust! The halter dresses from the wedding above are only $124, which is super good for a wedding dress! They also have the cutest day dress for $70 that I am adding to my wish list. I was recently interviewed for the blog Simply Stacie. Simply Stacie is a blog friendly website that started a list of PR friendly blogs that companies can contact about reviewing their products based on the subject of the blog, ie. 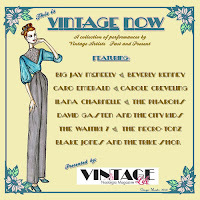 vintage or music. I am not huge on giving away free reviews, however if I am contacted to look at a product appropriate for my readers and I truly like it- why not? I also like the page of blogger resources on the site. Getting back to the reason for this post- 1940s fashion! There are 2 posts right now that I am loving on how to nail a vintage look and I thought you should read them, if you haven't already. The lovely Solanah from Vixen Vintage did a guest post on Lingerie Addict on how to buy vintage lingerie for the perfect look. Once you have the foundations in place, you can move on to creating the perfect 40s look by reading this post on 1940s fashion on the Glamour Daze blog. The pictures in this post are incredibly helpful. 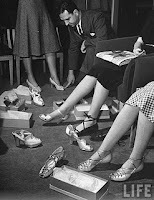 Make sure to visit the other links provided in the article to view more posts in a series on 1940s fashion. I know you all have been waiting breathlessly to see who won my epic giveaway and I will make you wait no longer. Ms. 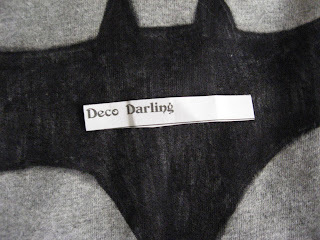 Darling has been contacted via e-mail and has 48 hours to respond. She entered several pictures that were lovely, but the one I liked best of her entries is this one. I would die for a shoe closet like that! Thanks to all who entered the giveaway! 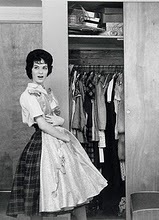 Your entries gave me a lot to think about in my quest for the perfect vintage closet. ﻿﻿﻿Continuing with my closet obsession, I have recently discovered the joys of rotating one's wardrobe for the season. I don't really know why I haven't done this before- most likely because when I was younger I didn't have enough clothes to rotate and once I did I was paranoid that I would store something I would end up needing and then have to wade through my storage space to find it. The beauty of going through the process of choosing clothes to store is that you almost always will find something you forgot you had. I totally found a cute shirt I don't remember buying at all! Plus, I always tend to keep wearing the same things because they are returned to the forefront of my closet and are easier to grab again. I came up with all kinds of fun outfit ideas as I went through everything, as well as started a mental list of what would be needed to complete some more outfits. Make sure everything is clean. Even if you only wore it once you should wash it again. Have you ever seen a vintage garment that is in almost perfect condition except shredded armpits? That's from your body, dearie, and it will erode away at your dainties and attract bugs. Even if you can't see it, it's there- trust me. 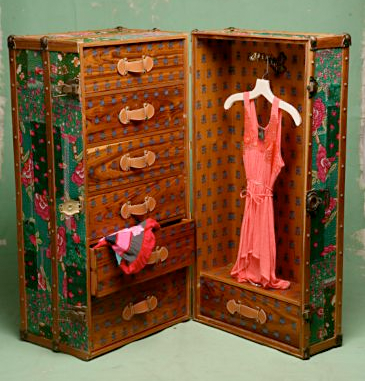 To help keep bugs from feasting on your wardrobe delights stay away from icky toxic moth balls and go natural. Use herbs known for repelling pests, like rosemary, cloves, and mint. I got some dried herbs from a natural food store (they can be used to brew tea too) and put a mixture of about 1/2 cup in a ribbon sachet I made. 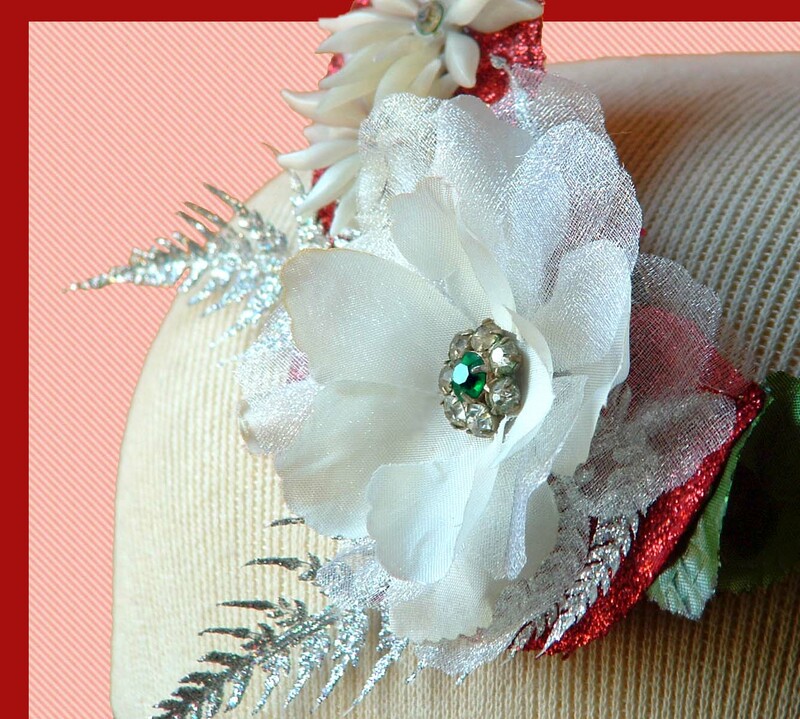 Another option is to use nylon leg and tie it at the top, then put that inside a circle of light cotton material and close up with a pretty ribbon. Place it at the top of the bin so the smell is strongest where the bugs could get in. If you want to get really fancy you can wrap your clothes in acid free tissue paper . For good measure, use this semi-annual culling as an excuse to go through your stuff for donations. I found at least 3-4 things that I was able to part with this time around, plus a couple more that I kept but mentally tagged for future consideration. So there you are! Go commune with your closet and enjoy the extra 3-5 inches on your clothing rod. That's room for at least one more crinoline! I may have mentioned that in my "spare" time I am getting a dual Masters degree in Library Science and Music History. I have recently started a blog on American Popular Music where I wax poetically on various genres in that subject. I started the blog to satisfy a course requirement for a class I am in right now so the posts are fairly spread out in time periods and subjects. However I am sure that once the class ends I will tend to concentrate mostly on music from the 1920s-50s which are my favs! I do have a post up on The Hillbilly Casino which should be of some interest to my rockabilly readers. 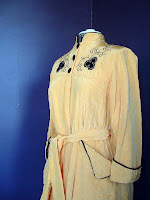 Don't forget to enter my Vintage Closet and Boudoir Giveaway too. It ends on Monday! 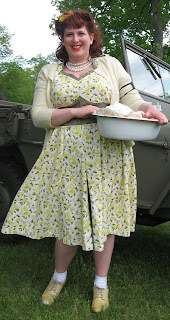 The delightful Fleur de Guerre has posted a video tutorial on applying 1940s lipstick on her website Diary of a Vintage Girl. 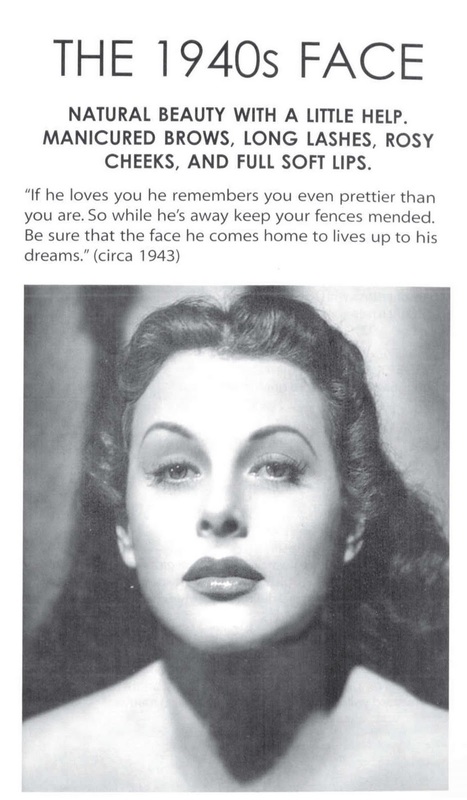 Just in case you missed my post on the 1940s Pinup Face, you can also find a diagram on how to apply the lipstick on that post. The last two apartments I have lived in were pretty old (1920s and currently 1884) and they both had very small closets in the bedroom. Being that my husband and I are hoping to eventually buy a 20s or 30s bungalow I have a feeling I will have a similar issue. Thusly, I am obsessed with how people organize their closets. I LOVE it when I find an ad or picture in a vintage magazine that shows a bedroom closet or when I see an old movie that allows a peek at a boudoir. I am also inspired by modern closets, but vintage examples remind me of how little I really need for clothes, which is a good thing in my case. So to have a little fun I am hosting a giveaway to feed my closet obsession. I will be giving away a vintage boudoir package to one lucky reader. The package will consist of a pair of padded hangers, 2 handmade ribbon sachets, a vintage hanky or lingerie bag, and a set of vintage shoe trees that have been personally "tarted" up by me. 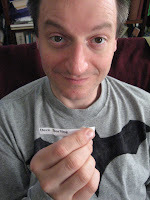 Plus there will be a surprise gift added based on the picture that wins. -Leave a link (and your email) in the comments of this post to a picture of a bedroom closet with a vintage feel that inspires you and tell me what it is you like about it. Please make sure that you include where you found the picture so I can give the proper credit! If you don't give me the pic source you can't win because I like to play nice when using other people's content, k? 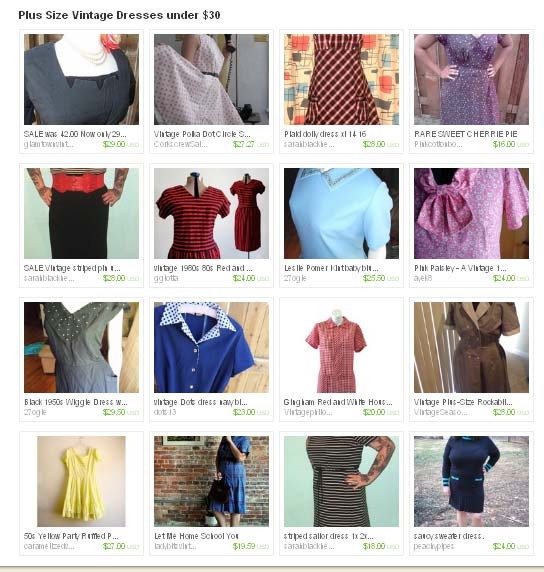 You can take a picture of your own vintage inspired closet if you'd like and upload it to the web so you can link to it. Just make sure and let me know it is yours. -You get one entry for every picture you send, but they have to be a different closet (no multiple views of the same closet). Also, once a link for a picture is left in the comments it can't be used again (so no multiple entries on a single picture). -You get an extra entry if you blog about this giveaway. Make sure and leave me a direct link to the post in the comments to get credit. - The giveaway ends Monday, Oct. 18th at midnight, central time. That gives you two whole weekends to find your pictures. The winner will be picked by random out of a hat and I will post it by Wednesday of the same week. - The giveaway is open to anyone in the US and Canada. Anyone outside of that may enter but they will have to pay the difference in shipping to their country. - Make sure to leave your email in your comments so I can contact you if you win! Fun, yes? I hope so! I can't wait to see what inspires you!